The Western Oregon University Chamber Singers is an auditioned ensemble of 20-24 singers that performs challenging choral works from a wide range of historical periods, cultures, and genres. The ensemble frequently tours throughout Oregon, the Pacific Northwest, New York (Carnegie Hall) and overseas! Auditions for this ensemble typically take place during New Student Week and the day before classes begin each fall. Auditions are open to all students regardless of major, minor, or class year. You are not required to prepare anything for the audition (though you may want to warm-up first). Auditions are typically about 15 minutes long and include checking your vocal range, a tonal memory exercise to check your ear, and both rhythmic and melodic sight reading. 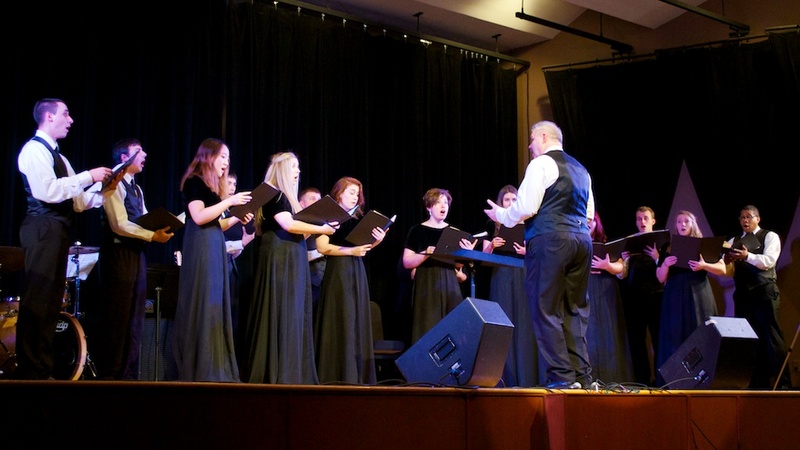 Students typically commit to singing in the ensemble for the full academic year. Listen to the WOU Chamber Singers!